As you can see, sometimes different words can have the same meaning at times. I can loath and loathe at the same time for the same reason. But there are more problem words. Let’s try again. Illegible and unreadable are not the same thing. Illegible means the document can not be read because the handwriting is so poor it is undecipherable. Unreadable can’t be read because what was written is not interesting, or incomprehensible, that it makes no sense, even though you can read the words. The other day I was bugged with the ‘which word is it’ problem when I wanted to write the word that means the origin of words. But I typed ‘entomology’ and that is the study of insects. It drove me buggy because I could not think of the correct word-it is etymology. You can see how easy it is to confuse those two words. Those words are troublesome, but not as bad as capitol or capital. But words do not have to sound similar, as illegible and unreadable indicate. If you think humorous and comical mean the same, sorry, they have different meanings. I will let you research those words and I will quiz you later. I bring all this up as another example of proofreading problems. It is more than spelling, more than grammar, more than punctuation. It is also, and arguably more important, to get the right word with the right meaning in the right sentence. You might be legible in your writing, but if you confuse the reader too much you become unreadable. I hope this blog is not confusing you. I will leave with the problem of ‘is and are.’ Is means singular as in he is, she is, or it is. Are is plural as in ‘we are’. However, when the subject is elusive, it is the authors discretion to use either word. In other words, two times three IS six and two times three ARE six are both correct. I don’t know how I can learn a foreign language when I am still trying to figure out English. You have no doubt read, or heard, of actors who get so involved with a character they play that they take the character home with them, in fact becoming to a real extent, the character, and in the process losing something of themselves until the project is over, then moving on to have another character inhabit their being; particularly troublesome if the character they are playing is a dark, sinister, creepy character. Writers experience this too, after all if a writer’s characters are to be real, the writer goes through what they go through, at least in his mind. He, like the actor, is inhabited by the thoughts, feelings, and actions of his characters. I experienced this in a short story I recently finished called “The Unstained Couch.” It is a horror story, one in which I blended two separate story ideas I had. Because of the darkness of the tale that concerns a man who wakes up, finds a dead woman in his bed whom he does not know and goes into the kitchen to make tea, then later finds the woman is not in his bed, but gone, then reappears on the kitchen floor, and because the couch keeps moving every time he enters the living room, and because the couch, once a cherished piece of memory, now a hideously ugly reminder of the past, my mind went into dark corners, corners that were not pleasant. While the creative part of my brain was happily active in creating this weird dark tale, my emotions were not; they were conflicted, violent, murderous. I was acutely aware of both the creative aspect and the emotional aspect working side by side. Now I understand how writers can go mad, now I understood what Thomas Mann meant when writing of the writer looking into the abyss. I have yet to go back to the story and proofread and edit the story. It is difficult to return to a house that is haunted that you escaped from, so I must wait until I am ready. Madness lives on those pages, in those words, but I will embrace the madness once the residue clears from the present. 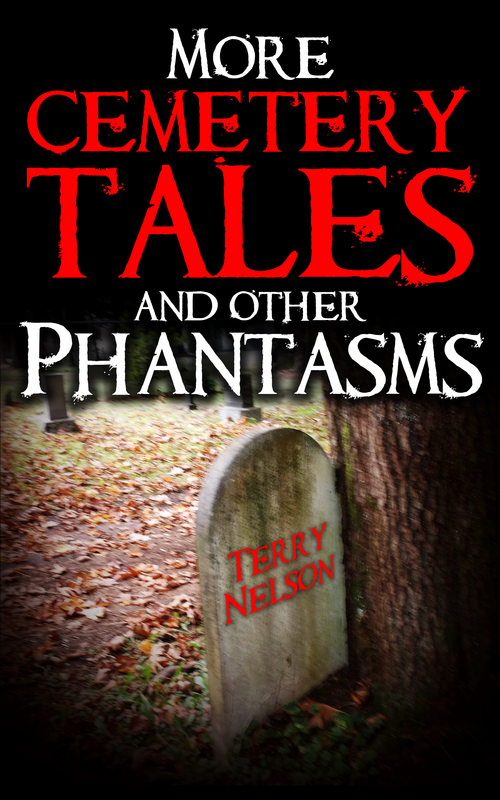 Some other dark tales I wrote. I was rummaging through some files-no, not computer files for you youngsters out there- but old fashioned files, ones you find in folders-no, not computer folders-but folders containing files in boxes, when I came across a magazine, the name of which will not be mentioned, and it brought back an angry memory. I contributed an article to this magazine nearly a decade ago and it still infuriates me when I think about what happened. If you are a writer, or an artist, you will understand. The article was about “Captain Midnight,” a 1950’s television show, one beloved by boys across America. I actually cried and cried when we went on vacation on a Saturday before the airing of the latest episode. How could we leave before the show aired? How can a father be so mean and ruthless? Why wasn’t mom on my side? How can I cry for over two hours on the drive that sent my father into . . . well never mind. The first four paragraphs were fine, no problem. But with the exception of one sentence at the end of paragraph five, the rest of the article was not there. Gone, gone, gone. Any writer can understand my mouth-dropping, eye-popping, flip-flopping stomach; shock changing to disillusionment evolving to anger. Captain Midnight had been sabotaged. What evil enemy of the good captain could have done this? And here is the kicker. And the reason I never wrote for this magazine again. The editor told me in an email that he printed what he received from me in the emailed article I sent. But that could not be. In case you did not catch what I said earlier, I repeat, “with the exception of one sentence at the end of paragraph five, the rest of the article was not there.” That means somehow the first part of paragraph five was not there, but the closing sentence was intact. That does not happen, can not happen. Sorry Mr. Editor, but I am not that dumb, close I grant you, but even I don’t believe that reasoning. I always print copies of my articles to see what the editor may have changed, make note of it, and see if that can improve my writing. I know that email can be troublesome at times, but what you send is what will be received and a paragraph does not disappear leaving one sentence intact. As an adult I did not cry when “Captain Midnight” was sabotaged by a less than honorable editor. But I did tell Batman the Joker was alive and running a magazine and after giving Batman the location and address . . . well it is good to have Batman as a friend. RIP former editor.